NORMAN – To make advanced research results based on rare works in the History of Science broadly available to the public, the University of Oklahoma Libraries’ History of Science Collections and the Max Planck Institute for the History of Science’s Research Library in Berlin, Germany have established a new model for academic publishing of primary sources in the history of science. The new platform, Edition Open Sources, combines open access and a rigorous peer-review process to create high-quality scholarly works. Both participating institutions will digitize and upload copyright-free collections to a repository in order to promote worldwide utilization of the materials. The Edition Open Sources platform is designed to feature original source documents along with transcriptions of the text and critical analysis. The digital formats will be free and immediately accessible worldwide once published. “The Department of the History of Science and its faculty are excited to participate in this innovative project, which provides a model infrastructure for both scholarly collaboration and connection to the wider world,” said department chair Hunter Heyck. For more information about Edition Open Sources, please visit www.edition-open-sources.org or email eos@ou.edu. Apply for a post-doctoral fellowship at http://jobs.ou.edu/applicants/Central?quickFind=85389. 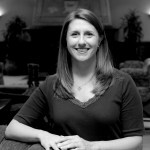 Sarah Robbins is the Director of Public Relations & Strategic Initiatives for the University of Oklahoma Libraries. She also is an adjunct instructor with the School of Library and Information Studies. Sarah holds a Masters degree in Library and Information Studies as well as a Masters of Education with an emphasis on Adult & Higher Education both from OU. Thanks for sharing this here, Sarah! I had heard this was coming but didn’t know details. VERY exciting!!! Will go share now at Google+.